Can you believe we’re still several days away from Google’s official Pixel 3 and Pixel 3 XL announcement event? It feels like these two phones have been around for months now, and in a way, one of them has. But even though we seem to know truly everything there is to know about the next jumbo-sized handset “made by Google”, the search giant is trying its best to at least maintain a secretive public perception. Well, either that or we’re simply dealing with some good old-fashioned trolling on the part of the Mountain View-based company favored by many so-called Android purists. 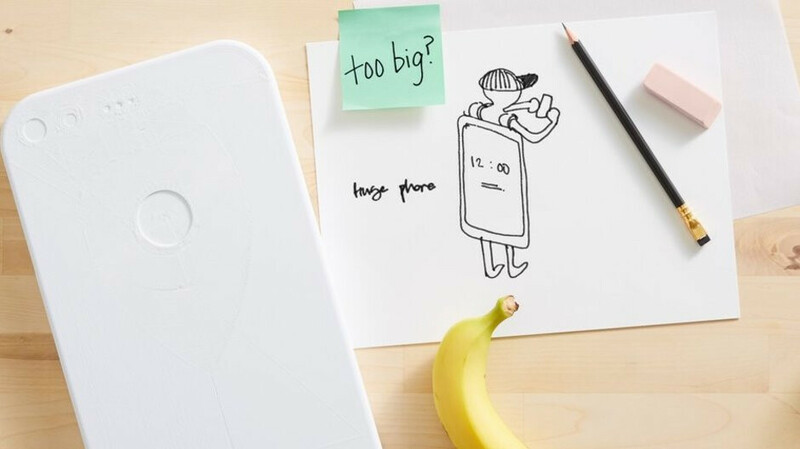 After cryptically touching on Pixel Mini rumors that never really gained traction... until yesterday, as well as tackling “Super Selfie Mode” speculation in a similarly mysterious way, Google is today talking about size. Once again, we’re not quite sure what to read into a very enigmatic teaser, seemingly discussing the footprint of the next Pixel generation. Google is framing this as an answer to a random Reddit query, but it’s unclear whether or not the Pixel 3 and 3 XL will indeed be “way bigger” than their predecessors. All we know is “several phone sizes” were “tested”, and some were deemed “more successful than others.” Thanks for nothing, Google! Okay, fine, thanks for a quick chuckle generated by the use of a banana for the scale of a roughly outlined next-gen Pixel phone. Of course, conspiracy theorists are likely to view this as further proof a Pixel Ultra or Pixel Mini exists. Something that hasn’t been religiously leaked for the past couple of months or so. Anything. Who knows, maybe Google does have something up its sleeve. But today’s trolling does not confirm that in any way, shape, or form. Another day, another leak!! The most leaked phone ever! Lol it will be 6 months old when it ships. I'd love a mini phone, the only modern phone that's mini is the iPhone 8 and I still don't wanna go the Apple way, the rest is getting huge or is too thick (Xz2 compact). 100%. I wouldn’t think twice to buy a compact top spec Pixel that had a 5in screen. The truth is out there! Kinda having fun seeing tech sites releasing Google "leaks" every minute, it is interesting to see Google PR moves to work (probably) as intended. GJ Google PR guys and gals you got tech sites hooked on cheap to produce ad revenue and they won't say no to that.